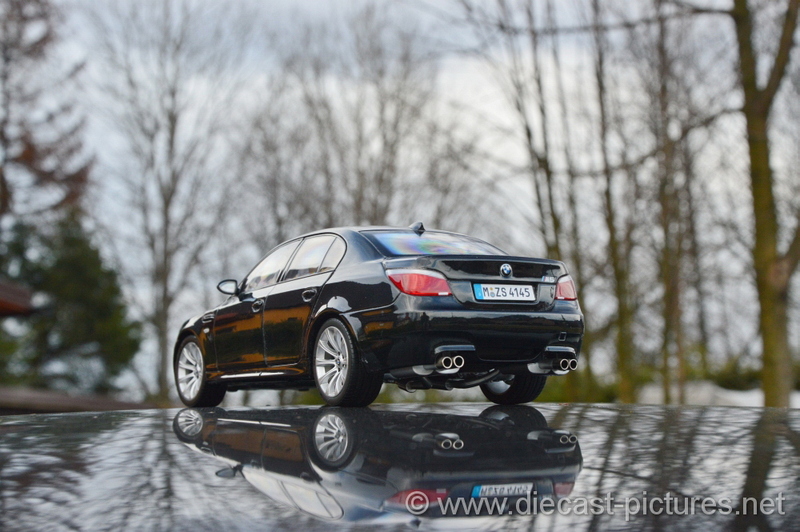 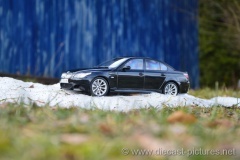 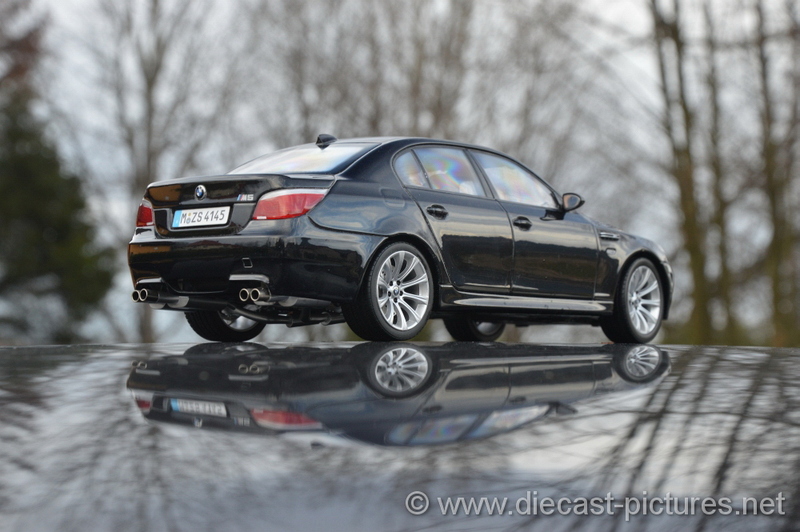 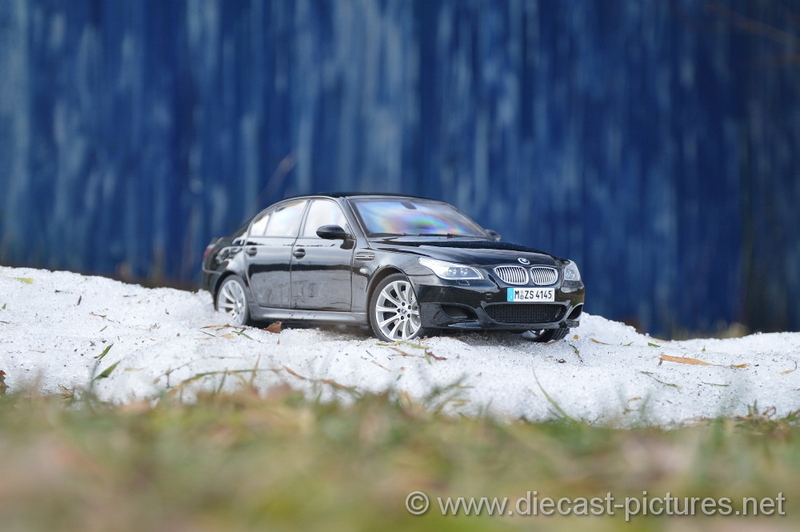 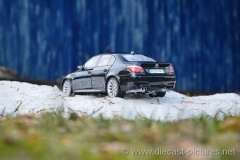 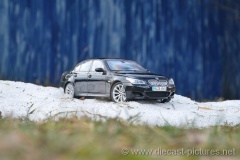 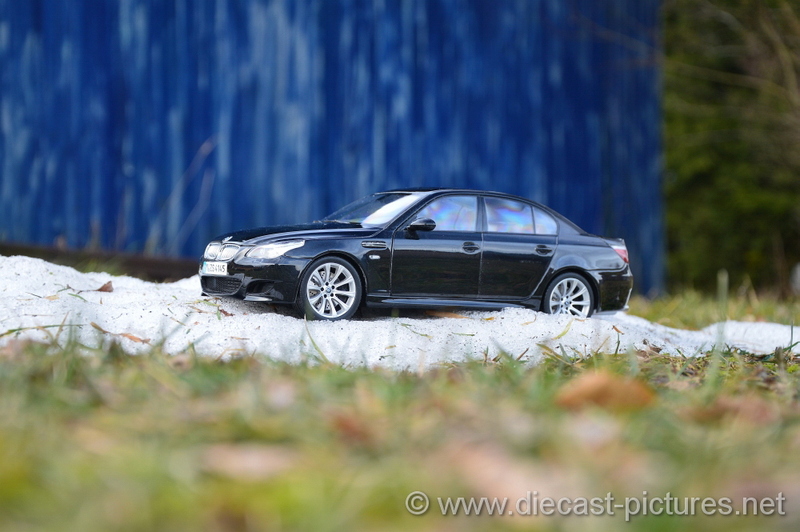 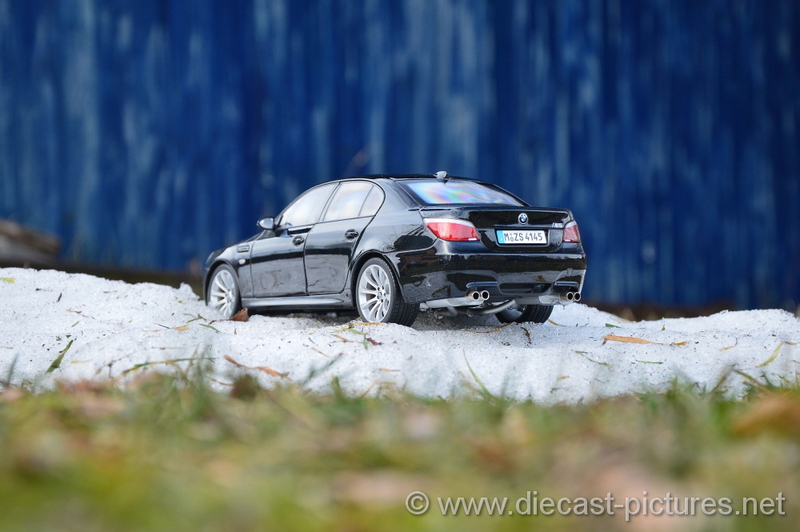 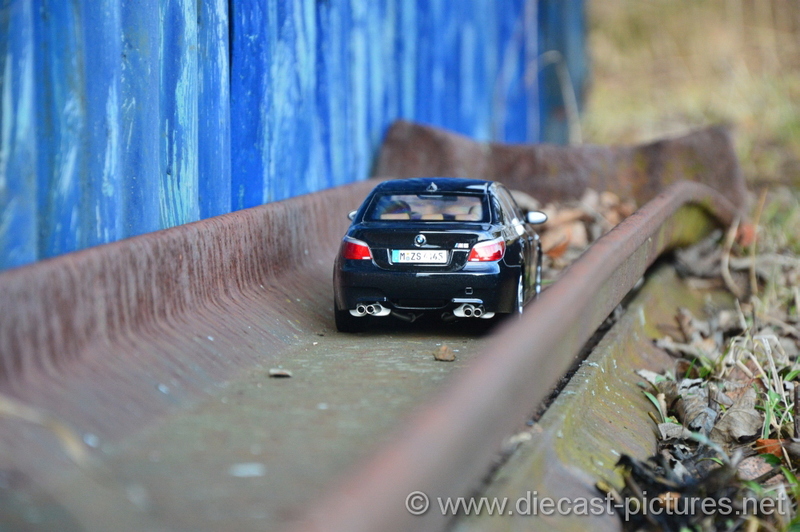 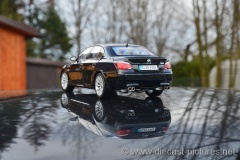 BMW M5 E60 produced by Kyosho has already been here. 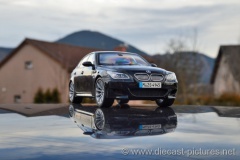 Blue colored M5 has posed during sunset. 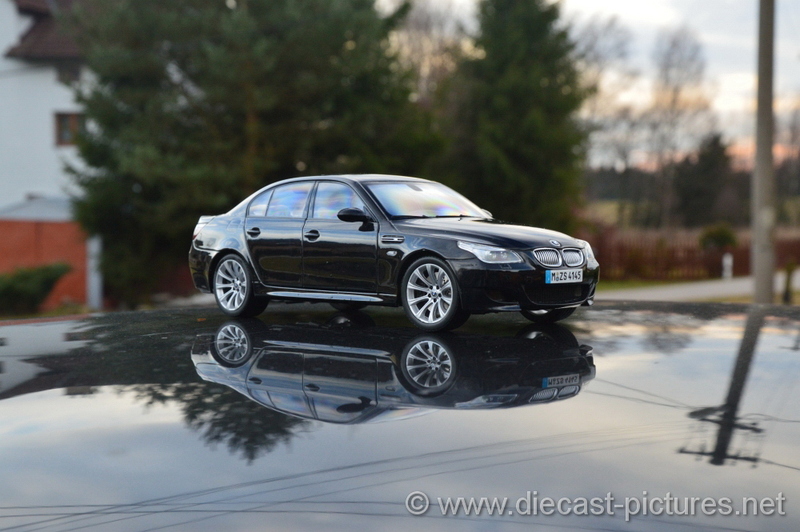 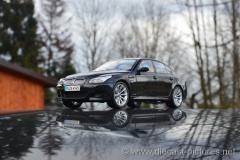 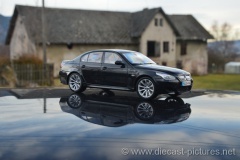 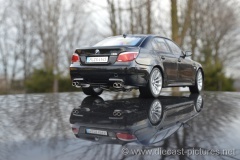 Now, black colored M5 is mirroring in a chilly weather. BMW M5 E60 looks great in both colors. 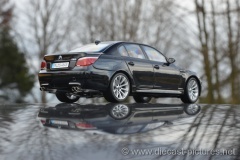 Black stresses elegance, blue emphasises sports shapes of the car.